Marketing is more than advertising – it is true strategic planning and brilliant execution. 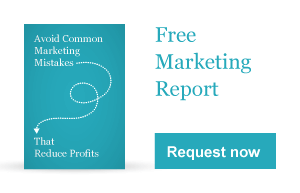 You likely need a custom Marketing Action Roadmap™ – a strategy – to move your business forward, faster. McCabe Marketing provides tailored marketing strategies to help business owners like you increase your sales and profitability. We shape your marketing strategies based on your business goals, products and services, strengths and weaknesses, and competitors. From the marketing strategy comes your marketing plan, we can identify specific tactics to be accomplished. You can implement them yourself or engage us to help you complete the project on-time and on-budget. Spine ‘n Sole Haven is a specialty provider of premium health care products. Although it had sourced products and secured financing, prospective property managers required a detailed retail strategy and proposal to secure a lease. McCabe Marketing met with the owners to understand their vision and needs. We reviewed their business plan, researched options, and made recommendations. The deliverable was a comprehensive business and retail proposal which included an analysis of the market opportunity, industry, competition, and marketing strategies and programs. McCabe Marketing leads short, productive planning meetings with our clients. Together we focus on your brand and customers. You will get concrete ideas that are easily converted into actionable plans. Do you have a marketing strategy? Are you interested in moving your business to the next level? Book your free, no-obligation consultation now! Your marketing strategies and program have had a huge impact on our business. Sales leads have doubled for our design and renovation services.